As your local septic company, you will find our comprehensive septic services offer you everything you need, 24/7! 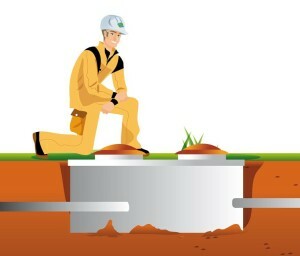 A Local Company – As your local septic company, we are familiar with your needs at your Lakeland, FL home or business. We offer plenty of options for you to keep your septic system running its best! Around-the-Clock Support – When you have a late-night emergency, we are here when you need us most. With our 24/7 service, you never have to worry because you will always have someone who is prepared to assist you. Expert Service – If you have questions or concerns, our professional technicians are available to help. Whether you need new installations of all parts for your septic system, a septic system inspection, or want to know more about our warranties, we have answers for you. Our list of septic services will meet any of your septic needs, including septic tank installation, septic tank maintenance, septic system cleaning, septic system repair, sump pump services, and much more. We will also help you find a way to keep your septic system running effectively without breaking your budget. When you need reliable, consistent, around-the-clock support and want to choose a local septic company for all your needs, you have come to the right place at William Dustin Septic. Even your toughest jobs are no match for William Dustin Septic in Lakeland, FL! Call to find out more about our free estimates and warranties. We look forward to hearing from you! Call us at William Dustin Septic for all your septic cleaning, drain field, and sump pump needs. We offer professional 24/7 service for the messiest jobs!